The final report of the Special Rapporteur on the human rights to safe drinking water and sanitation, Léo Heller, on his official visit to India from 27 October to 10 November 2017, was submitted to the 39th regular session of the UN Human Rights Council, 10-28 September 2018 in Geneva. India is a country with historical gaps regarding the access of its population to adequate water and sanitation services. It is reported that 40 per cent of India’s population practiced open defecation in 2015, one of the highest proportions among all countries. The situation of water and sanitation in the country has resulted in a disturbing impact on human health: diarrhoea-related deaths in India attributable to inadequate water, sanitation, and hygiene corresponded to 40 per cent of the total number in all low and middle-income countries in 2012. And, to my surprise, this situation is not explained only by the level of development of the country: the Human Development Index of India is higher than that of dozens of other countries. My particular concerns for the gaps in the application of the human rights framework in the Indian water and sanitation sector are illustrated in the following pivotal issues. The aim here is to provide insights on how to introduce a more human rights oriented approach in this sector. The normative content of the human rights to water and sanitation include the following elements: availability, accessibility, acceptability, affordability, quality/safety, privacy and dignity; as well as fundamental human rights principles: right to access to information, participation and remedy, accountability, equality and non-discrimination, progressive realization. In this connection, I would like to reiteratie India’s commitment as a State party to several international human rights treaties and India’s support on the rights to water and sanitation at the international level. While the Clean India Mission has raised sanitation to the top of the country’s agenda, access to improved water has received less attention. This raises serious concerns: in India, unsafe water is responsible for 68 per cent more diarrhoea deaths than unsafe sanitation. Drinking water quality is a matter of concern. In the country, 85 per cent of rural drinking water supply and 50 per cent of urban drinking water supply come from groundwater sources. Accessing groundwater may be a serious concern in different parts of India, considering the known problems of water contamination by arsenic and fluoride, but also by pathogens. According to the West Bengal Pollution Control Board, 38 per cent of the groundwater in the State is contaminated with arsenic and fluoride. This is a huge problem, because approximately 84 per cent of the rural population in West Bengal depends on groundwater sources for drinking water. Although the central and state governments have been adopting different measures to control this chemical contamination, those measures have not been entirely effective and the problem worryingly persists, causing serious health effects. For instance, I met a man living at Gobindapur village near the Bangladesh border, who was suffering from chronic arsenicosis and who show me the effects of this disease on different parts of his skin. His brother has passed away due to arsenic contamination and his family members also suffer similar negative health impact. Another key issue related to water quality is faecal contamination. The general state of surface waters in the country, considering the conditions of access to adequate sanitation services, particularly the deficits in wastewater treatment, poses severe threats to a high microbiological standard of the water consumed. The Joint Monitoring Programme WHO/UNICEF, for the Sustainable Development Goals, reports that more than one third of the water consumed by rural populations are contaminated. Different studies are showing doubtful microbiological drinking water quality in different parts of India. One additional relevant remark, related to health risks due to drinking water ingestion, is that many households do not treat water before consumption. The Special Rapporteur has accepted the invitation from Manipur! He is expected in Imphal from 7-8 November 2017. Mr. Léo Heller is the second Special Rapporteur on the human rights to safe drinking water and sanitation. He was appointed by the Human Rights Council in November 2014, having started his mandate on 1 December that year. Heller is currently a researcher in the Oswaldo Cruz Foundation in Brazil. Previously, Heller was Professor of the Department of Sanitary and Environmental Engineering at the Federal University of Minas Gerais, Brazil from 1990 to 2014. During his career in the Federal University of Minas Gerais, Heller held several positions including the Head of the Department of Sanitary and Environmental Engineering, Associate Provost of Graduate Studies, Dean of the School of Engineering and coordinator of the Graduate Program in Basic Sanitation, the Environment and Water Resources. Heller has extensive experience in formulating policies, teaching and researching in the field of public policy and management and of environmental health related to water and sanitation. 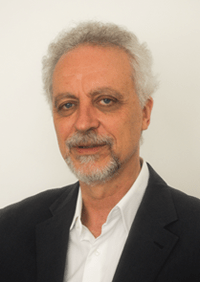 He has been coordinating large interdisciplinary research groups and he is author of several books, book chapters and journal articles on technological, health and policy dimensions of water and sanitation. He has long tradition of working together with and taking part in social movements related to human rights to water and sanitation, especially in Latin America. He holds a BA in civil engineering, MSc in water, sanitation and the environment and PhD in Epidemiology, with a thesis on the association between water and sanitation and health outcomes. He also carried out post-doctoral research at the University of Oxford (2005-2006), focusing on the theoretical aspects of public policy and management in the water and sanitation sector. Heller speaks English, Spanish and Portuguese. Please find attached an important communication for the attention of respected UN Special Rapporteur on the human rights to safe drinking water and sanitation regarding his proposed itinerary for the imminent mission to India. I am informed that one of our coalition delegates, Mr Babloo Loitongbam (Executive Director, Human Rights Alert, Manipur) who was in Geneva for the adoption of the report on India’s UPR III had met with you last week. Please also note that the communication has multiple attachments. Kindly acknowledge safe receipt of this communication. A delegation of CSCHR attended the 36th regular session of the UN Human Rights Council (UNHRC) in Geneva. During the session for the adoption of the outcome document on India’s 3rd Universal Periodic Review (UPR) to improve its human rights situation, on 21st September 2017, the Government of India (GoI) formally accepted 152 recommendations out of the 250 recommendations given by 112 member states of the United Nations. The remaining 98 recommendations were simply noted. However, most of the human rights issues critical to the situation in Manipur including the repeal/review of AFSPA, ratification of Convention on Protection of All Persons Against Enforced Disappearances (CED), moratorium on death penalty, ratification of the Rome Statute on International Criminal Court, etc., are only noted without indicating a follow up plan and not accepted. Many international organizations including Amnesty International, International Commission of Jurist, FORUM-ASIA, WGHR, etc., strongly denounced the GoI’s continued refusal to accept the recommendation for the repeal/review of AFSPA. CSCHR will, on Wednesday, 5 July 2017 at the Manipur Press Club, Imphal organise the launch of a national civil society report on Sustainable Development Goals: Agenda 2030 that has been coordinated by the Wada Na Todo Abhiyan, a national campaign to hold the government of India accountable for its promise to end Poverty, Social Exclusion & Discrimination. India’s challenges and achievements in reaching the Sustainable Development Goals: Agenda 2030 is being reviewed this month (July 2017) by the United Nations High Level Political Forum (HLPF). India’s Voluntary National Review Report on Implementation of Sustainable Development Goals has been submitted to the UN. The Civil Society Coalition on Human Rights in Manipur and UN (CSCHR Manipur) submitted its joint stakeholders’ submission report, “BROKEN PROMISES AND ABDICATED OBLIGATIONS” on the status of human rights in Manipur to the UN Human Rights Council for consideration during the examination of India in the third cycle of Universal Periodic Review on the 4th of May this year. The report, which was submitted on 22 September 2016, was prepared through a collective wide-ranging consultative process, consisting of several formal meetings conducted from August to September 2016. While voicing clear concerns regarding the increasingly openly and deliberately flaunted human rights protection and promotion by states worldwide, CSCHR’s report focuses on the continuing serious concerns regarding the human rights situation prevailing in Manipur. Manipur remains one of the States with a continuous peoples’ movement for the right to self-determination in India since its merger with the Indian union in 1949 in conditions that violated international law. The report also highlighted very substantive gaps between the information shared by the government and other stakeholders, the recommendations arising therefrom, the acceptance of such recommendations and their implementation by the government of India. India’s approach to this review of deciding to selectively “accept” specific human rights recommendations regarding the outcomes of its UPR 1st cycle and UPR 2nd cycle reviews undermines the basic principle of human rights and its total disregard of parliamentary scrutiny and public accountability also defeats the purpose of setting up such principles and mechanisms to monitor the implementation and achievements in protecting and promoting human rights. India has also failed to realize its guarantee under Article 253 of its Constitution in fulfilling international human rights obligations by making necessary and appropriate legislation or incorporating new amending provisions in existing domestic laws in accordance with international standards. Describing the serious situation prevailing in Manipur, the CSCHR report sought the Human Rights Council’s attention on serious violations of civil and political rights under a repressive de facto military regime and state of emergency that has existed from the 50s. Militarisation has impacted on every sphere of human development and governance, and indigenous peoples’ rights are being aggressively violated. CSCHR also informed the UN about the serious challenges confronting the indigenous peoples of Manipur today due to the state sponsored infusion of outsiders and migrants into Manipur that has dangerous implications to the survival of the native inhabitants, and has also led to land alienation, economic subjugation, political repression, irreparable injury to indigenous culture and tradition, conflicts and violence. Government of India should respect the Manipur peoples’ right to self-determination as per the General Assembly Resolution 1514, International Covenant on Civil and Political Rights, International Covenant on Economic, Social and Cultural Rights and Declaration on Rights of Indigenous Peoples and seek a political solution to the ongoing armed conflict in Manipur. Government of India should repeal Armed Forces (Special Powers) Act, 1958 as recommended by previous UPR Working Group, Human Rights Committee, Committee on Economic Social and Cultural Rights, Committee on Elimination of Racial Discrimination, Committee on the Elimination of all forms of Discrimination Against Women as well as the Special Rapporteurs on Human Rights Defender, Summary, Arbitrary and Extra-judicial Executions, Violence Against Women, etc. Government of India should also repeal other security legislations and counter terrorism measures, such as the Unlawful Activity Prevention Act, 1967, National Security act, 1980, etc. Government of India should promptly investigate and prosecute all Indian security forces involved in gross human rights violations. That the Government of India should remove all its “Reservations” and “Declarations” on all International Conventions and Treaties. The government of India should ensure that all MoUs for mega dams in Manipur, without indigenous peoples free, prior and informed consent be withdrawn. The Government of India and Jubilant Energy should stop all petroleum and drilling related activities in Manipur till indigenous peoples’ rights over their land and resources are recognized. Policies introduced such as the North East Hydrocarbon Policy, 2030, the Manipur Hydroelectric Policy of 2012, Manipur Loktak Lake (Protection) Act, 2006, should be repealed. Recognition of indigenous people as ‘indigenous’ by guaranteeing all indigenous rights of protection and positive discrimination that includes ownership over land and resources. Ratify the International Labour Organisation’s convention No. 169 on Indigenous and Tribal Peoples’ Rights. On 21st June 2015 (New York time), CSCHR submitted its comprehensive general and specific comments to the Zero Draft Outcome Document of the UN’s post-2015 Development Agenda (called the Sustainable Development Goals or SDGs). The comments raised some serious concerns about the path of development being visualised by governments and sought to pursued as an agenda till 2030.
Business and private sector as unaccountable “stakeholder” partner with increasingly larger role. No distinctions or categories made regarding this sector.